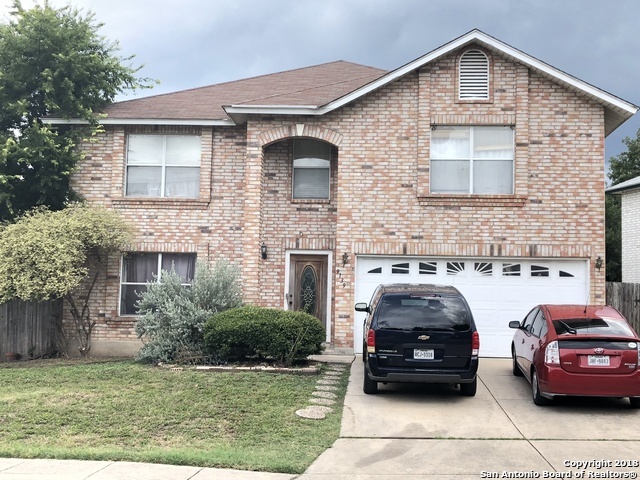 All LINCOLN PARK homes currently listed for sale in San Antonio as of 04/20/2019 are shown below. You can change the search criteria at any time by pressing the 'Change Search' button below. "Excellent Investment Property or Your Next Home! **Home Is Sold as Short Sale & As Is** Located in Lincoln Park. Open Floor Plan with Lots of Room and Space, Spacious and Open Formal Living Area. Separate Dining Room and A Good Size Family Room. There Is More Than Enough Room in The Over Spaced GAME ROOM. The Master Suite Is Roomy and Includes A Walk-In Closet. Vast Backyard Is Ideal for Family and Pets. Located Close to Schools, Shopping. Please see documents in additional information for detai"
"LINCOLN GREEN: A quiet and secluded community. New wood flooring, loft/study area, large living spaces with high ceilings, eat-in kitchen with granite counters, breakfast bar, window seat and plenty of cabinet space, family room fireplace, large backyard, huge oak tree - a great space for entertaining."